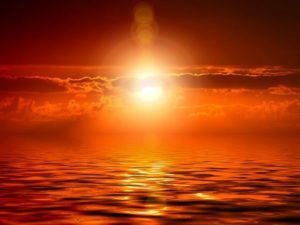 First- You can imagine a soothing golden shinning ray of light emitting from a distance, falling on your face and covering everything around you. You can also contemplate the absolute being as the light this is known as tejo dhyana. The metamorphic light destroys all the inner darkness and is harbinger of hope. Second- You can visualize the essence of yourself at the distance full of light. Connect with yourself and fill yourself with positivity and let all the negativities or anxieties purge out. This is known as sukshma dhayna. 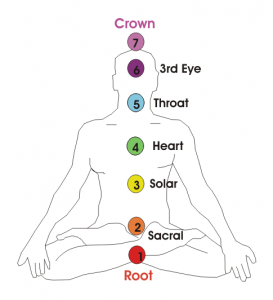 Third- Imagine all seven chakras in your body and one by one focus on them and activate them (as shown in image). It is known as Chakra Dhyana. It is my favorite. Sit in an optimum position where you can focus and feel comfortable. 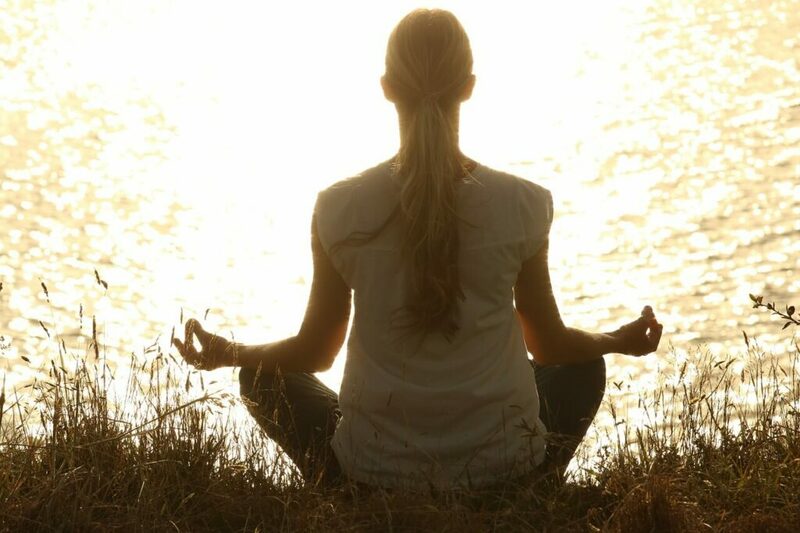 1) Body- You don’t have to necessarily sit in a full-lotus posture to meditate. You can sit in any position which is comfortable for you. You can even lean against a wall or backrest if it suits you. Just make sure the posture makes you feel alert and you can concentrate. Be relaxed but not so much that you doze off while meditating. It is fine to sit on a chair. It is best not to stand or completely lie down on the floor. 2) Hands- You can place the hands on your thighs. Don’t let them hang freely, sit on them or clench your fists. The best is to place the back of your right hand on top of the palm of your left hand, thumbs touching. 3) Mouth- Keep your lips relaxed and mouth closed with the Tongue suctioned to the roof of your mouth. Don’t clench your teeths. Leave the teeths gently touching or slightly apart. 4) Eyes- Keep the eyes closed for best results. Few minutes of deep breathing will help if you’re feeling nervous or restless. It will calm you and bring the heart rate down. Inhale the air in your lungs slowly (4 seconds), hold the air in (6 seconds) and exhale it twice as slowly (8 seconds) as inhaling. It is one of the most important aspects of meditation. 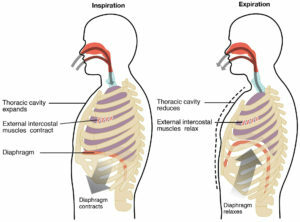 Diaphragmatic breathing implies breathing by using your diaphragm muscle. The diaphragm is a sheet of muscle located below the lungs. It differs from deep breathing in the sense that, in deep breathing the chest will expand. With diaphragmatic breathing the chest doesn’t rise at all. 1) Sit upright and breathe slowly with steady flow of air at comfortable capacity without moving your shoulders or upper chest. 2) Inflate the belly when you breathe in and deflate the belly towards spine when you breathe out. The better way to realize it is to imagine a inflatable balloon inside your belly. 3) Exhalation and inhalation should be the same duration. Once you are comfortable, allow the exhalation time to be twice as long as the inhalation. Be mindful of your body. Connect your mind and feel each of the body part all the way from top of your head to toes. Feel the gravity pulling your body down. Feel the weight of air above your head. Feel the change in temperature around you. . Try to become aware of the breath. Sense the air and feel the breath coming in and out. Doing this for few minutes will help you feel like a different entity. You no longer reside in your body but are separate from your body. You can now concentrate on your inner self. If anytime your focus begins to drift away to different thoughts, simply return to sensing the body. Do not avoid or ignore the emotions that may arise while meditation. Accept and embrace them. Concentrate all your attention on these emotions. Let your heart beat get faster. Let your muscles tense up. Feel the emotions and sense your body’s response towards them. Understand, learn and recognize the feeling and all it’s manifestations. Pinpoint the thought that caused the feelings. Once you accept these feeling, you will feel a lot calmer. Acceptance is the key here. The feelings which we can’t accept to ourselves otherwise, we can accept them during meditation, process them, cherish them if they are happy feeling and let them go if they are destructive to our wellbeing. Meditation can be a daunting task. It is similar to developing a fitness or exercise schedule. In the beginning it is difficult to meditate every day, but later on it becomes natural habit. Keep your expectations at minimum. Some meditation sessions can be really good and satisfying, other can make you go in hyper mode and yet some sessions are quite mundane. 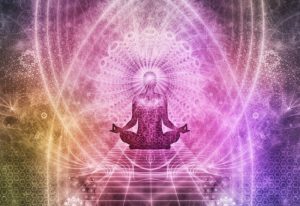 Since there are no quantifiable measures to determine the success or progress of your meditation sessions, plus the mindfulness, and being aware of our own thoughts and feelings can be hard, a lot of people wonder if they are doing it wrong or yet worse quit meditation altogether. More than anything else meditation is discipline of mind and body. Cultivating the habit of meditation or any habit for that matter is hard. Treat yourself with something good each time you complete the meditation session on time. Reward yourself for trying to develop the habit and sticking to it.